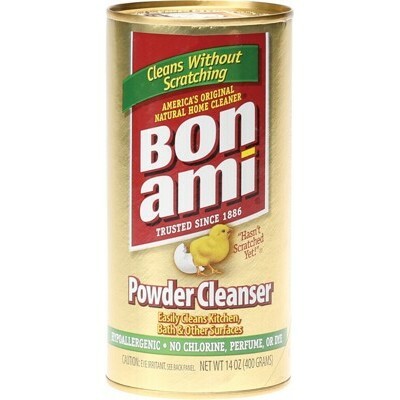 French for “good friend”, Bon Ami is a biodegradable, non-toxic, hypoallergenic powder cleanser that won’t scratch. Bon Ami still uses the trademark feldspar and limestone as gentle, effective abrasives, but now combines them with even more sustainable cleaning agents. Plus there’s a touch of baking soda to help absorb odours. Safe and effective multi-purpose cleaner for use on any surface including glass!